Life Is _ is Judah Smith's follow-up to his bestselling, Jesus Is __ . This time, the writer gives you four simple truths to help you find love, enjoyment, trust, and peace in God.
" Life is ___. How would you finish that sentence? Life is _____. by Judah Smith was published by Thomas Nelson in April 2015 and is our 16220th best seller. 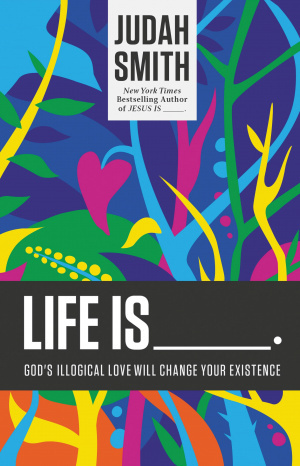 The ISBN for Life is _____. is 9781400204779. Reviews of Life is _____. Be the first to review Life is _____.! Got a question? No problem! Just click here to ask us about Life is _____.. Details for Life is _____.